This glorious shallow bowl was made by Micahel Hunter for Twists Glass in 2016. 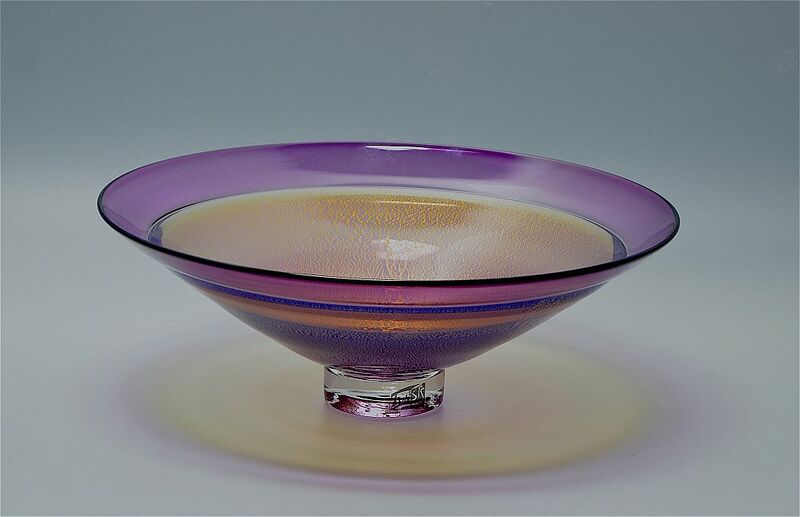 Know as "Cascade" it has a clear round glass foot leading to a shallow concave bowl in pale purple that is inlaid with what appears to be gold leaf but is in fact silver leaf that has turned a gold colour in the kiln. It has an incalmo rim of pinkish purple glass. 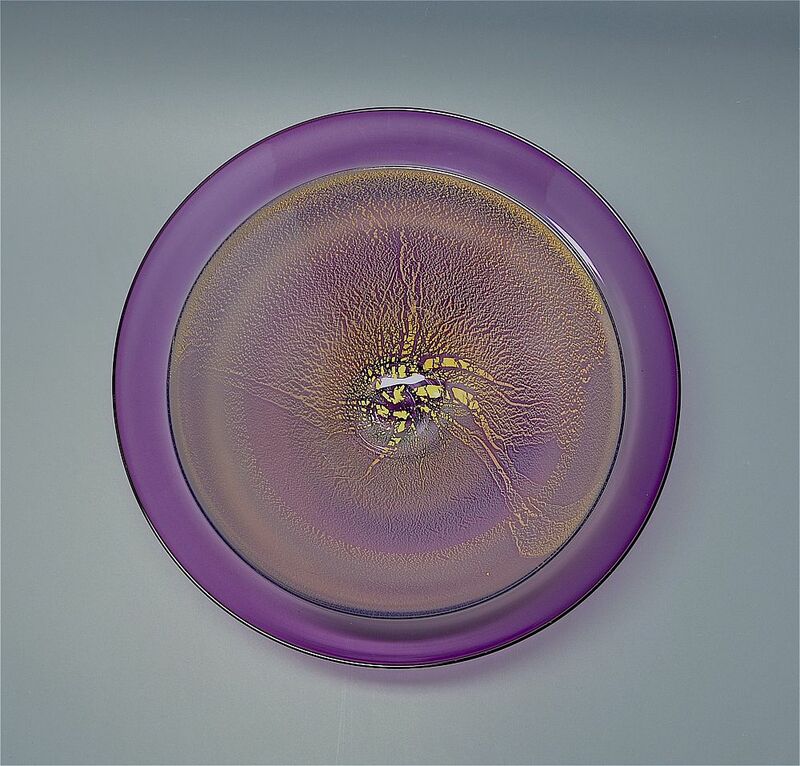 The base is scratch signed "M Hunter Twists Glass 16" and has the Twists Glass studio label. The bowl appears to shimmer and is quite lovely.